Washington, D.C. - This year's annual U.S. Botanic Garden (USBG) holiday exhibit, Season's Greenings: All Aboard!, will open Thanksgiving Day, November 22, 2018, and run through New Year's Day, January 1, 2019. The USBG is vibrant throughout the holidays with the sights, scents, and sounds of the season. This year, take a train ride across America as our annual holiday show Season's Greenings showcases train stations! Plant-based recreations of iconic train stations from across the United States will be represented in the train room. Explore classic stations like New York City's Grand Central Terminal, Detroit's Michigan Central Station, Maui's Lahaina Station, and many more, plus fantasy Dinosaur and North Pole stations. 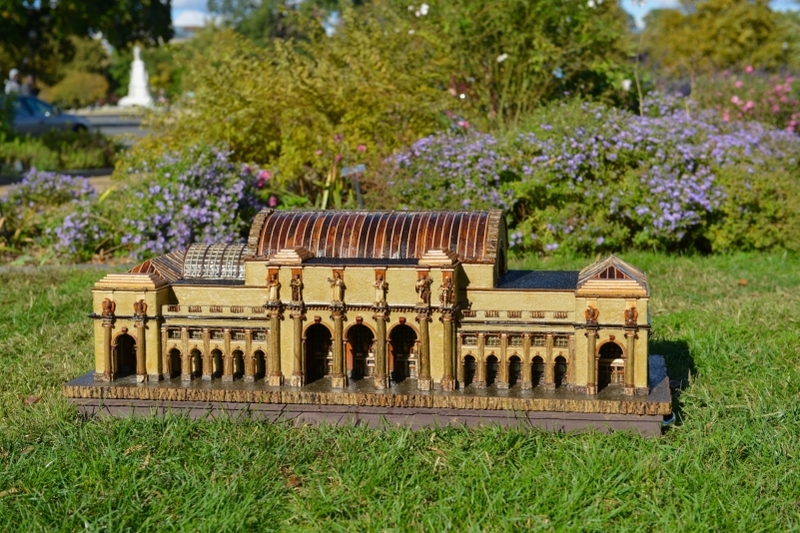 In the Garden Court, find model landmarks from our nation's capital - all made from plant materials. 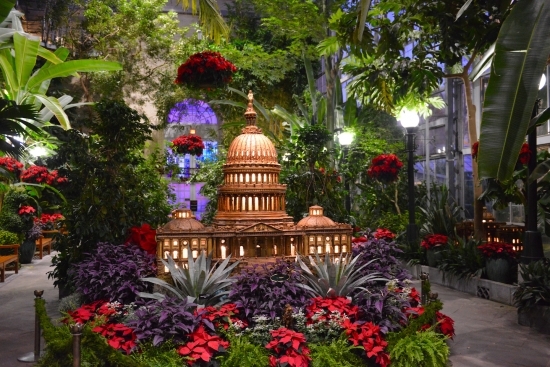 On display are 12 D.C. landmarks including the U.S. Capitol, the Washington Monument, the Lincoln Memorial, and a new addition this year, an inspired botanical version of Union Station. Thousands of poinsettias will be on display throughout the Conservatory, including a showcase of more than 30 varieties of poinsettias featuring heirlooms, classics, and multiple newly developed varieties. The U.S. Botanic Garden is open to the public, free of charge, every day of the year from 10 a.m. to 5 p.m. On most Tuesdays and Thursdays in December, the Conservatory will be open until 8 p.m. for live seasonal music concerts and after-dark holiday exhibit viewing. Join us as we celebrate the holidays and America's natural and cultural treasures.